This amazing dish has always been a favorite in our family! 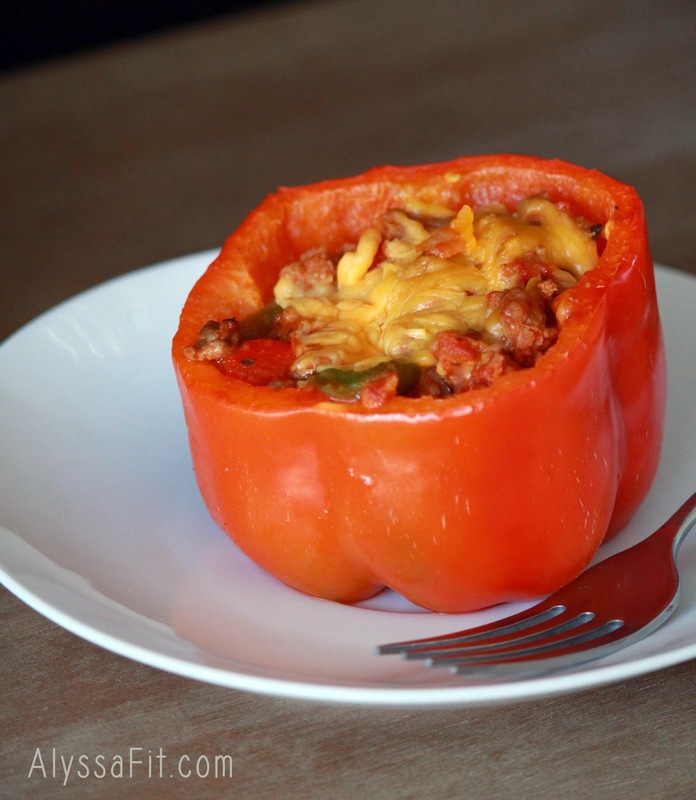 I recently found a wonderful recipe for stuffed peppers and guess what?? ...more flavorful and healthier! Enjoy! Cut tops of peppers and clean out seeds. Reserve pepper tops and dice for filling. Set aside. Cook ground turkey over medium heat until no longer pink. Drain. Add in diced peppers, onions, and seasoning. Saute with meat until slightly tender. Add both pasta sauces until meat and veggie mixture are barely moist. Add in cheese, reserving 1/4 cup for topping. Stir until cheese is melted. With peppers upright in foil lined pan, fill each one with meat mixture. Top with cheddar cheese. Cover by tenting loosely with foil. Bake at 350 degrees F for 30 minutes. Remove foil and continue to bake for 15 minutes or until cheese is golden. ** Quick tip: Evenly cut off bottoms of peppers so they will easily stand in baking pan. Be sure not to cut off too much as this will leave holes in the bottom of the pepper.